For Cliff Leong, letterpress printing is all about the details. The Alphabet Press already had a reputation as bespoke letterpress printers and a mastery of indentation technique that made them a go-to for custom-made wedding invitations, among other things. 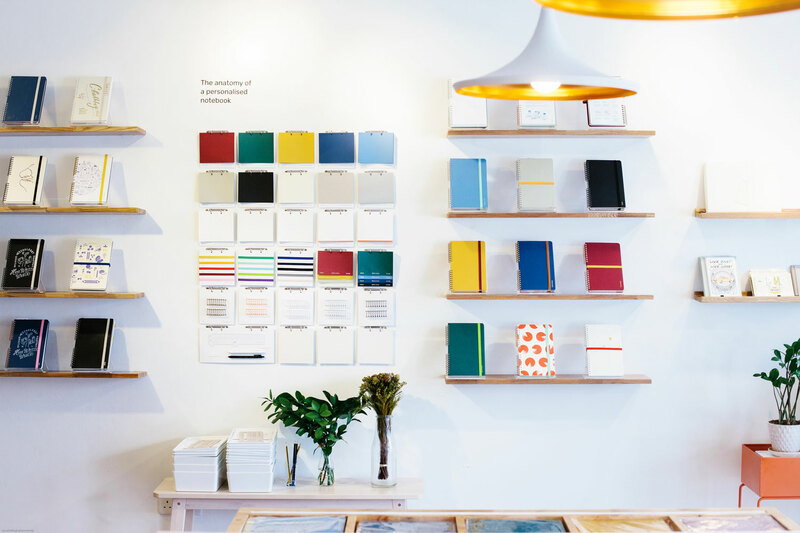 Sensing the appeal of personalised stationery, they formed ana tomy in 2016 to offer mass customisation of notebooks. Here is their story. Considered now to be the “Rolls Royce” of printing machines, the Heidelberg Platen Press was once considered more of a workhorse. And while the single-colour German letterpress printer revolutionised the world of mass printing in the 19th century, it was quickly replaced by the modern techniques of offset and digital printing. The Heidelberg Platen Press is fascinating to not only watch but also hear, as it hums in a rhythmic pattern. Inspired by Wes Anderson films, the co-founders of The Alphabet Press (TAP) – Cliff Leong, Zeejay Wong, Fidella Ch’ng and Helios Loo – affectionately call their Heidelberg Platen Press “Darjeeling”. The press was acquired from a Malaysian owner in 2013 and was possibly the last surviving specimen in Malaysia. “He had been using the Heidelberg Platen Press for more than three decades, so when we first approached him to buy Darjeeling, he was reluctant. He didn’t believe that a group of youngsters like us would be interested in letterpress printing,” Cliff recalls. 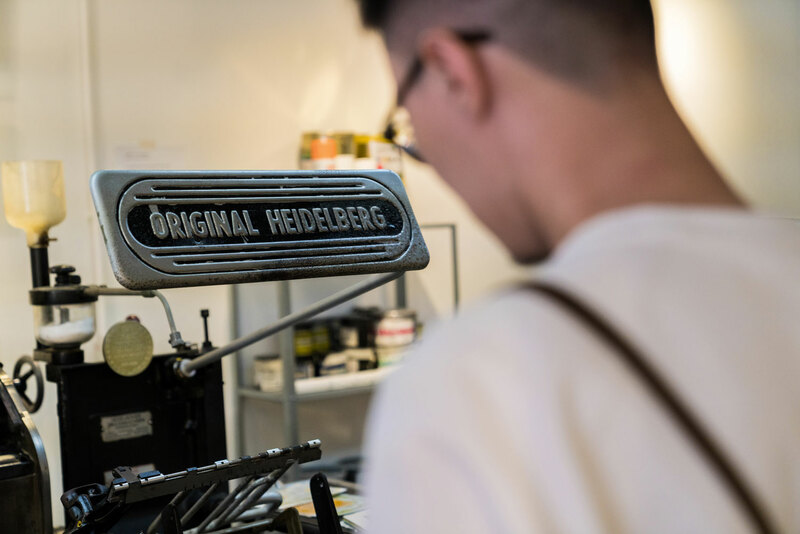 Production of the Heidelberg Platen Press wound down in the 1980s and because almost all letterpress manufacturers have long gone out of business maintaining one is a challenge, as replacement parts are almost impossible to find. However, TAP is driven by a desire to preserve, revive and make relevant the centuries-old craft. Alongside the aim to spread the beauty of letterpress, Cliff says that TAP also works hard to minimise their environmental impact by using paper as efficiently as possible. Here, the paper is FSC Certified and tends to be high-quality, 100 percent cotton paper that is tree-free. Printing processes follow a CMYK process by using four base colours: cyan, magenta, yellow and black. 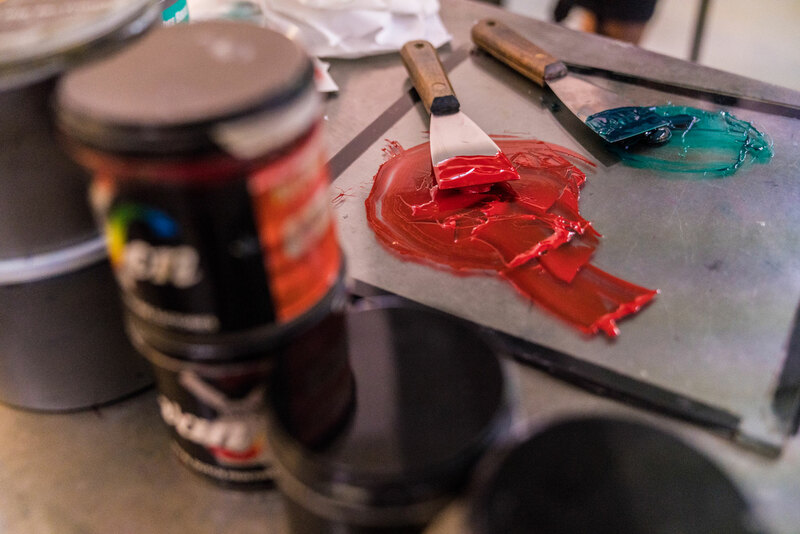 Because Darjeeling is a one-colour printing press, all colours in the final artwork need to be applied one colour at a time. Pantone colours are mixed with a combination of three or four base colours. With millions of possibilities, each colour follows a specific formula, each with a specific dose of base colours to get the most accurate shade. Once the printing plate and paper is loaded, Darjeeling is inked up for a test print. Minor adjustments are made and if every step is precisely calibrated the machine works like a charm. Depending on the print run, the same process can take twice as long on Darjeeling than using modern printing methods. Since its founding in 2011, TAP has produced countless bespoke name cards and invitations, each unique. It didn’t take long for TAP’s co-founders to realise the appeal of personalised stationery, but they were unsure how to combine the scale needed with the customisation that would be essential for success. Eventually, in 2016, bespoke met off-the-shelf with ana tomy. ana tomy is the brainchild of The Alphabet Press. Image courtesy of The Alphabet Press. The idea is a simple but ingenious. 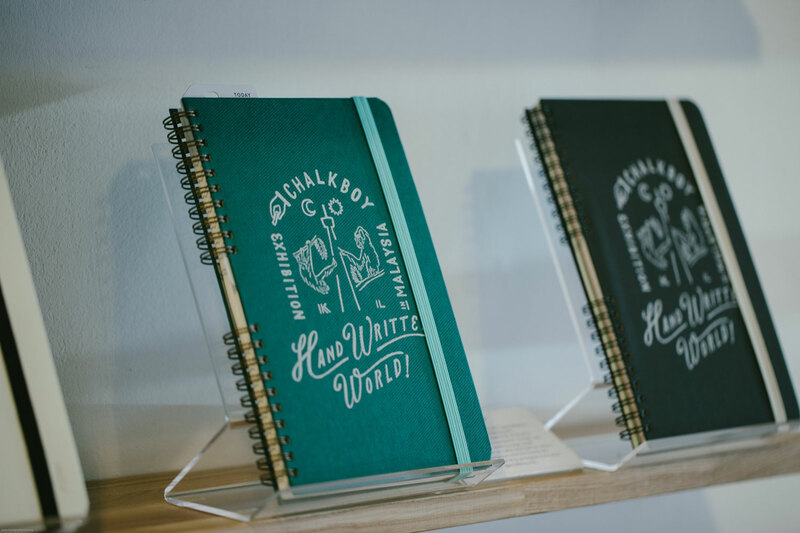 Customers are involved in the design process from the get-go and can customise their notebook in a variety of ways, from the cover and inserts to name inscriptions. ana tomy has delivered on its promise of the “mass customisation” concept. The brand has already collaborated with local designer Bo&Friends, whose animal-themed art centres on a goldfish name Bo and a series of furry animals. They’ve also collaborated with Japanese illustrator Yu Nagaba, whose unique style can be seen in a range of media, from books to advertisements, and Chalkboy, a Japanese “chalk graphic” artist who got his start at – you guessed it – drawing on chalkboards.